Quick move-in! Brand new construction!!! ”Near new Loop 202 South Mountain Freeway” !This is a 3 bedroom, 2 bath floor plan Nearby Cesar Chavez Park and Aguila Golf Course. Directions: Going South on 35th AVE turn left on Southern for about 1/4 mile to 39th AVE and make left. The Haciendas will be on left side at the end of the street. Approximate size: 5060.00 sq. ft. Please, send me more information on this property: MLS# 5726913 – $252,100 – 3840 W Leodra Lane, Phoenix, AZ 85041. 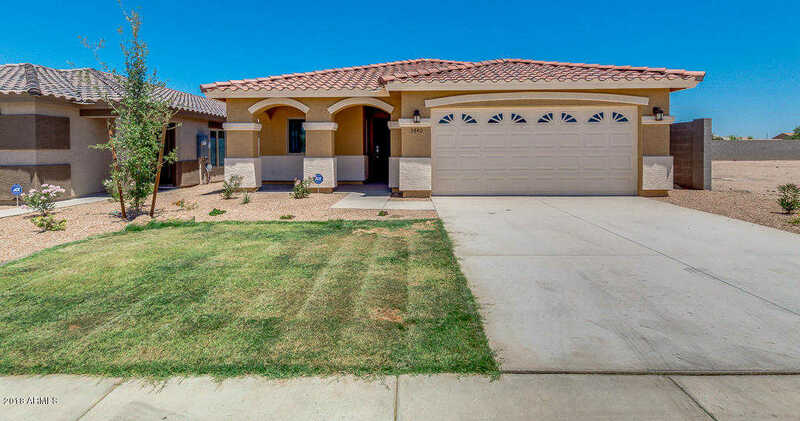 I would like to schedule a showing appointment for this property: MLS# 5726913 – $252,100 – 3840 W Leodra Lane, Phoenix, AZ 85041.